Valentines Day – “Vivo Per Lei” – Andrea Bocelli and Vera Weiss | Marbella Marbella – Adelante! Bocelli grew up on a farm in Lajatico, a rural village in Tuscany. Beginning piano lessons at the age of six, he later added flute and saxophone. Born with poor eyesight, he became totally blind at the age of 12 following a soccer accident. Despite his obvious musical talents, Bocelli didn’t consider a career in music until he had studied law at the University of Pisa and had earned a law doctorate. Inspired to pursue music, he studied with famed tenor Franco Corelli, supporting himself by performing in piano bars. Bocelli’s first break as a singer came in 1992 when Fornaciari auditioned tenors to record a demo tape of “Miserere,” which he had co-written with Bono of U2. Successfully passing the audition, Bocelli recorded the tune as a duet with Pavarotti. After touring with Fornaciari in 1993, Bocelli performed as a guest star in the Pavarotti International Festival held in Modena in September 1994. 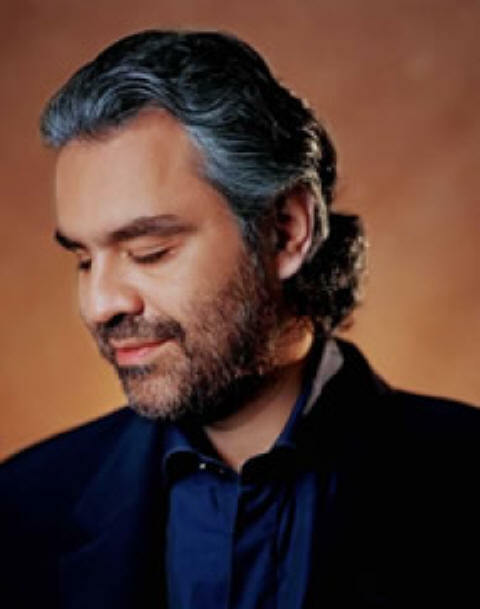 In addition to performing solo and in a duet with Pavarotti, Bocelli sang with Bryan Adams, Andreas Vollenweider, and Nancy Gustafson. In November 1995, Bocelli toured Holland, Belgium, Germany, Spain, and France with Night of Proms, which also featured Al Jarreau, Bryan Ferry, Roger Hodgson of Supertramp, and John Miles.